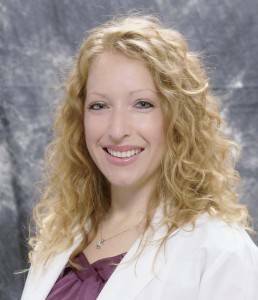 Dr. Elizabeth Vanderpool Strickland started her college career at the University of Central Florida and earned her Bachelors of Visual Science as well as her Doctor of Optometry degrees from Nova Southeastern University College of Optometry. Her externship training included a rotation in contact lenses at The Eye Center in Pembroke Pines, Florida and a rotation in ocular disease at the Fox Medical Center in Kendall, Florida. She also completed her internship training with rotations focused on contact lenses, disease, and pediatrics at the NSU Eye Institute in Ft. Lauderdale, Florida. She is a member of the Northwest Florida Optometric Association, the Florida Optometric Association and the American Optometric Association, as well as the Tallahassee Chapter of Moms Run This Town, the Gulf Winds Track Club, and the Florida Trail Association.